Zigbee is an IEEE 802.15.4-based specification for a suite of high-level communication protocols used to create personal area networks with small, low-power digital radios, such as for home automation, medical device data collection, and other low-power low-bandwidth needs, designed for small scale projects which need wireless connection. Hence, Zigbee is a low-power, low data rate, and close proximity (i.e., personal area) wireless ad hoc network. The technology defined by the Zigbee specification is intended to be simpler and less expensive than other wireless personal area networks (WPANs), such as Bluetooth or more general wireless networking such as Wi-Fi. Applications include wireless light switches, home energy monitors, traffic management systems, and other consumer and industrial equipment that requires short-range low-rate wireless data transfer. Its low power consumption limits transmission distances to 10–100 meters line-of-sight, depending on power output and environmental characteristics. Zigbee devices can transmit data over long distances by passing data through a mesh network of intermediate devices to reach more distant ones. Zigbee is typically used in low data rate applications that require long battery life and secure networking (Zigbee networks are secured by 128 bit symmetric encryption keys.) Zigbee has a defined rate of 250 kbit/s, best suited for intermittent data transmissions from a sensor or input device. Zigbee was conceived in 1998, standardized in 2003, and revised in 2006. The name refers to the waggle dance of honey bees after their return to the beehive. The relationship between IEEE 802.15.4-2003 and ZigBee is similar to that between IEEE 802.11 and the Wi-Fi Alliance. The ZigBee 1.0 specification was ratified on December 14, 2004 and is available to members of the ZigBee Alliance. An entry level membership, called Adopter, in the ZigBee Alliance costs US$ 3500 annually and provides access to the specifications and permission to create products for market using the specifications. 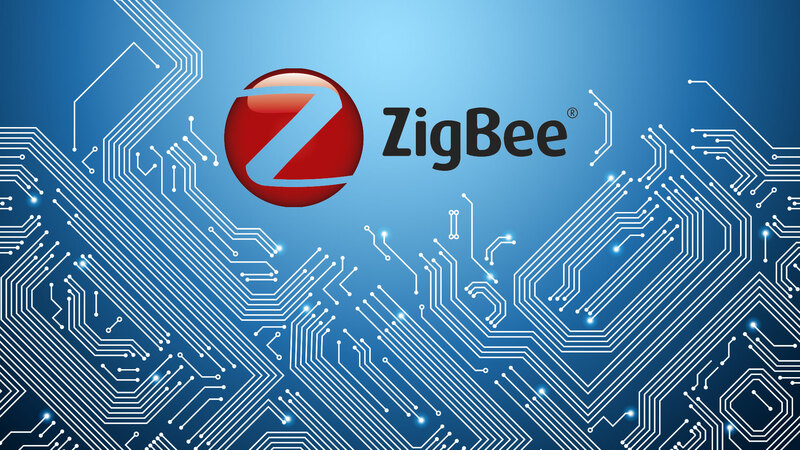 For non-commercial purposes, the ZigBee specification is available to the general public at the ZigBee Specification Download Request. Most recently, the ZigBee 2006 specification was posted in December 2006. ZigBee operates in the industrial, scientific and medical (ISM) radio bands; 868 MHz in Europe, 915 MHz in countries such as USA and Australia, and 2.4 GHz in most jurisdictions worldwide. The technology is intended to be simpler and cheaper than other WPANs such as Bluetooth. The most capable ZigBee node type is said to require only about 10% of the software of a typical Bluetooth or Wireless Internet node, while the simplest nodes are about 2%. However, actual code sizes are much higher, closer to 50% of Bluetooth code size. ZigBee chip vendors have announced 128-kilobyte devices. As of 2006, the retail price of a Zigbee-compliant transceiver is approaching $1, and the price for one radio, processor, memory package is about $3. Comparatively, before Bluetooth was launched (1998) it had a projected price, in high volumes, of $4 - $6; the price of consumer-grade Bluetooth chips is now under $3. First stack release is called "Zigbee 2004". The 2nd stack release (today, 26 June 2007, the current public one) is called 2006, and mainly replaces the MSG/KVP structure used in 2004 with a "cluster library". The 2004 stack is now more or less obsolete. The ZigBee Alliance has started work on ZigBee 2007, looking to extend the ZigBee 2006 specification capabilities, the main enhancements are optimising certain network level functionality (such as data aggregation). There are also some new application profiles like Automatic Meter Reading, Commercial building automation and home automation based on the "cluster library principle". Zigbee 2007 is sometimes called "Pro", but Pro is a stack profile, which defines certain stack settings and mandatory features. ZigBee 2007 at the network level is not backwards-compatible with ZigBee 2004/2006, although a ZigBee 2004/2006 RFD node can join a 2007 network, and vice-versa. It's not possible to mix 2004/2006 routers with 2007 routers/coordinator. ZigBee protocols are intended for use in embedded applications requiring low data rates and low power consumption. ZigBee's current focus is to define a general-purpose, inexpensive, self-organizing, mesh network that can be used for industrial control, embedded sensing, medical data collection, smoke and intruder warning, building automation, home automation, etc. The resulting network will use very small amounts of power so individual devices might run for a year or two using the originally installed battery. ZigBee coordinator(ZC): The most capable device, the coordinator forms the root of the network tree and might bridge to other networks. There is exactly one ZigBee coordinator in each network since it is the device that started the network originally. It is able to store information about the network, including acting as the Trust Centre & repository for security keys. ZigBee Router (ZR): As well as running an application function a router can act as an intermediate router, passing data from other devices. ZigBee End Device (ZED): Contains just enough functionality to talk to its parent node (either the coordinator or a router); it cannot relay data from other devices. This relationship allows the node to be asleep a significant amount of the time thereby giving the much-quoted long battery life. A ZED requires the least amount of memory, and therefore can be less expensive to manufacture than a ZR or ZC. The protocols build on recent algorithmic research (Ad-hoc On-demand Distance Vector, neuRFon) to automatically construct a low-speed ad-hoc network of nodes. In most large network instances, the network will be a cluster of clusters. It can also form a mesh or a single cluster. The current profiles derived from the ZigBee protocols support beacon and non-beacon enabled networks. In non beacon-enabled networks (those whose beacon order is 15), an unslotted CSMA/CA channel access mechanism is used. In this type of network ZigBee Routers typically have their receivers continuously active, requiring a more robust power supply. However, this allows for heterogeneous networks in which some devices receive continuously, while others only transmit when an external stimulus is detected. The typical example of a heterogeneous network is a wireless light switch: the ZigBee node at the lamp may receive constantly, since it's connected to the mains supply, while a battery-powered light switch would remain asleep until the switch is thrown. The switch then wakes up, sends a command to the lamp, receives an acknowledgment, and returns to sleep. In such a network the lamp node will be at least a ZigBee Router, if not the ZigBee Coordinator; the switch node is typically a ZigBee End Device. In beacon-enabled networks, the special network nodes called ZigBee Routers transmit periodic beacons to confirm their presence to other network nodes. Nodes may sleep between beacons, thus lowering their duty cycle and extending their battery life. Beacon intervals may range from 15.36 milliseconds to 15.36 ms * 214 = 251.65824 seconds at 250 kbit/s, from 24 milliseconds to 24 ms * 214 = 393.216 seconds at 40 kbit/s and from 48 milliseconds to 48 ms * 214 = 786.432 seconds at 20 kbit/s. However, low duty cycle operation with long beacon intervals requires precise timing which can conflict with the need for low product cost. In general, the ZigBee protocols minimize the time the radio is on so as to reduce power use. In beaconing networks, nodes only need to be active while a beacon is being transmitted. In non-beacon enabled networks, power consumption is decidedly asymmetrical: some devices are always active, while any others present spend most of their time sleeping. ZigBee devices are required to conform to the IEEE 802.15.4-2003 Low-Rate Wireless Personal Area Network (WPAN) standard. The standard specifies its lower protocol layers—the physical layer (PHY), and the medium access control (MAC) portion of the data link layer (DLL). This standard specifies operation in the unlicensed 2.4 GHz, 915 MHz and 868 MHz ISM bands. In the 2.4 GHz band there are 16 ZigBee channels, with each channel requiring 5 MHz of bandwidth. The center frequency for each channel can be calculated as, FC = (2405 + 5*(k-11)) MHz, where k = 11, 12, ..., 26. The radios use direct-sequence spread spectrum coding, which is managed by the digital stream into the modulator. BPSK is used in the 868 and 915 MHz bands, and orthogonal QPSK that transmits two bits per symbol is used in the 2.4 GHz band. The raw, over-the-air data rate is 250 kbit/s per channel in the 2.4 GHz band, 40 kbit/s per channel in the 915 MHz band, and 20 kbit/s in the 868 MHz band. Transmission range is between 10 and 75 meters (33~246 feet), although it is heavily dependent on the particular environment. The maximum output power of the radios is generally 0 dBm (1 mW). The basic channel access mode specified by IEEE 802.15.4-2003 is "carrier sense, multiple access/collision avoidance" (CSMA/CA). That is, the nodes talk in the same way that people converse; they briefly check to see that no one is talking before they start. There are three notable exceptions to the use of CSMA. Beacons are sent on a fixed timing schedule, and do not use CSMA. Message acknowledgements also do not use CSMA. Finally, devices in Beacon Oriented networks that have low latency real-time requirements may also use Guaranteed Time Slots (GTS) which by definition do not use CSMA. The software is designed to be easy to develop on small, cheap microprocessors. The radio design used by ZigBee has been carefully optimized for low cost in large scale production. It has few analog stages and uses digital circuits wherever possible. A White Paper  published by a European manufacturing group claims that wireless technologies such as ZigBee which operate in the 2.4 GHz RF band are subject to significant interference - enough to make them unusable. It claims that this is due to the presence of other wireless technologies like Wireless LAN in the same RF band. The ZigBee Alliance released a White Paper  refuting these claims. After a technical analysis, it concludes that ZigBee devices continue to communicate effectively and robustly even in the face of large amounts of interference. ZigBee-style networks began to be conceived about 1998, when many installers realized that both WiFi and Bluetooth were going to be unsuitable for many applications. In particular, many engineers saw a need for self-organizing ad-hoc digital radio networks. The IEEE 802.15.4 standard was completed in May 2003. In the summer of 2003, Philips Semiconductors, a major mesh network supporter, ceased its investment. Philips Lighting has, however, continued Philips' participation, and Philips remains a promoter member on the ZigBee Alliance Board of Directors. The ZigBee Alliance announced in October 2004 that its membership had more than doubled in the preceding year and had grown to more than 100 member companies, in 22 countries. By April 2005 membership had grown to more than 150 companies, and by December 2005 membership had passed 200 companies. The ZigBee specifications were ratified on 14 December 2004. The ZigBee Alliance announces public availability of Specification 1.0 on 13 June 2005, known as ZigBee 2004 Specification. 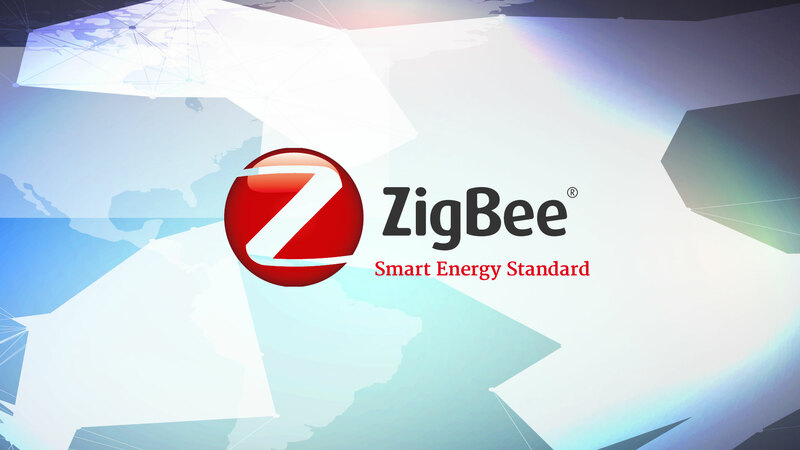 The ZigBee Alliance announces the completion and immediate member availability of its enhanced version of the ZigBee Standard in September 2006, known as ZigBee 2006 Specification. During the last quarter of 2007, ZigBee PRO, the enhanced ZigBee specification was finalized. We will not reply to technical Zigbee questions.